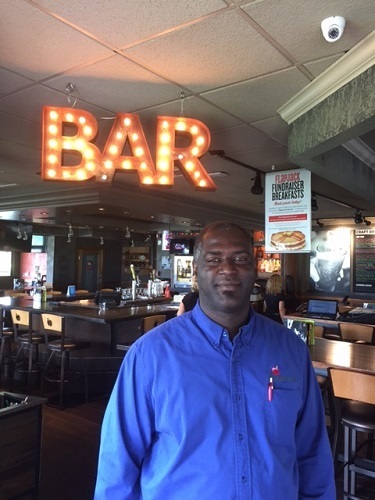 "I have been with Doherty over 4 years. Worked in numerous locations with multiple GMs all who taught and helped me to move up the ranks. Doherty has taken care of my career and my family better than anyone could imagine." 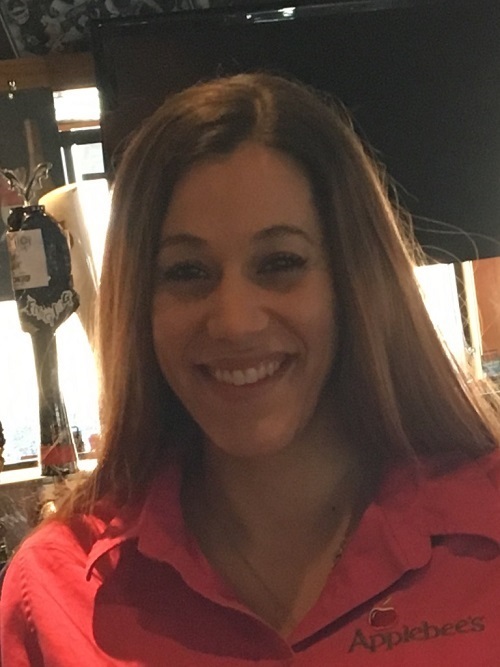 "Being an intern at Doherty Enterprises, the company has allowed me to release my creativity while being educated by top-notch professionals. 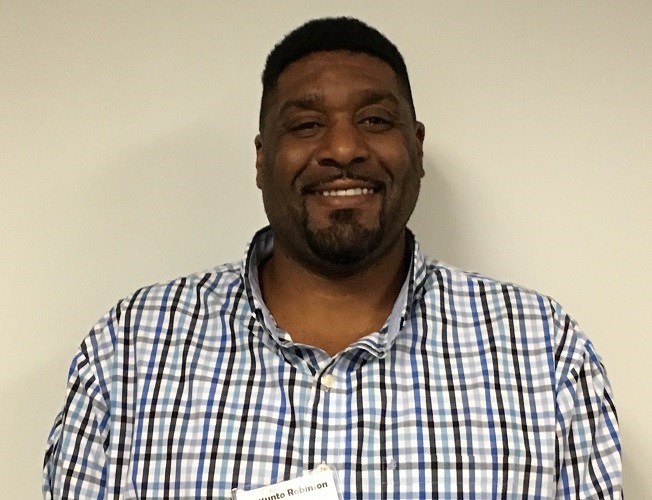 I have been welcomed as part of the HR team by being able to contribute in team meetings, take part in our Annual Service Awards Dinner and flourish in my career path by being exposed to multi-facets of Human Resources!" 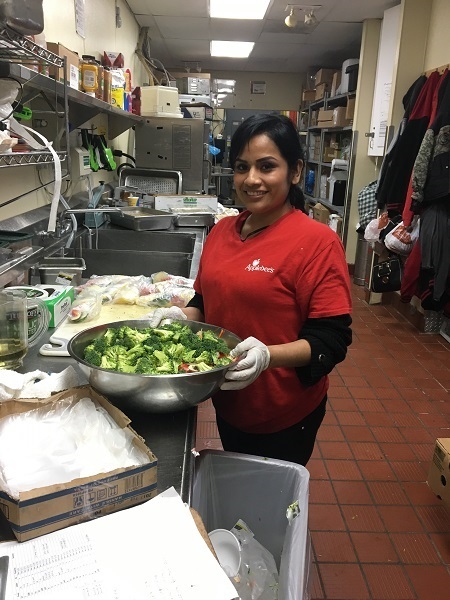 I love the fast paced part of the restaurant industry and love that Doherty always gives back to the communities we serve. 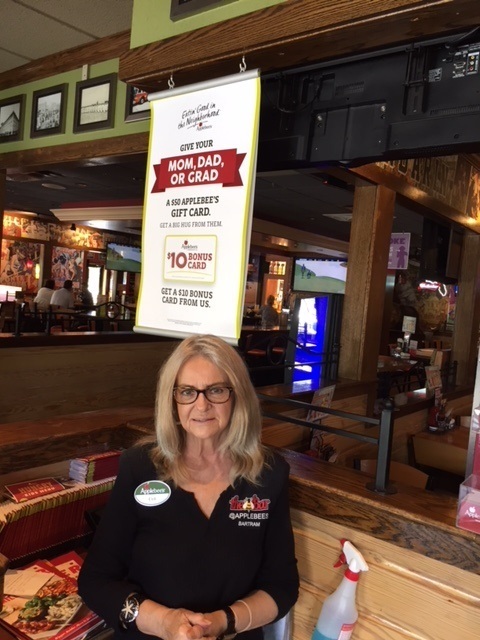 "I have worked for Applebee’s for over 7 years. I love it because they are my second family." 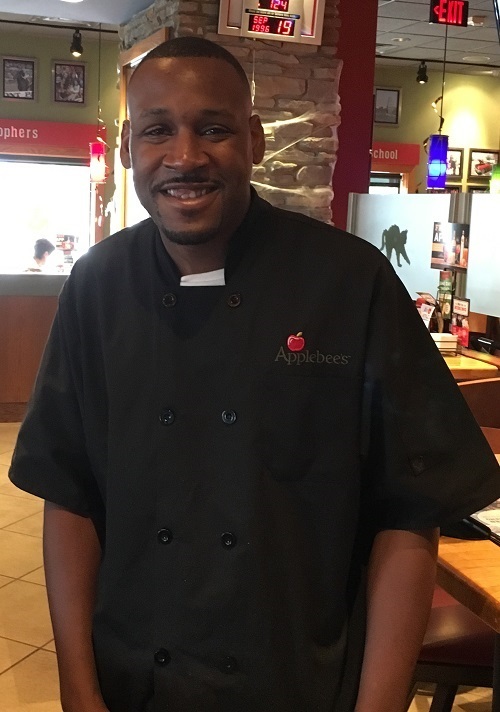 "I am a Prep Cook at Applebee's and I have been here for two years and I really like the people I work with and the job is awesome!" 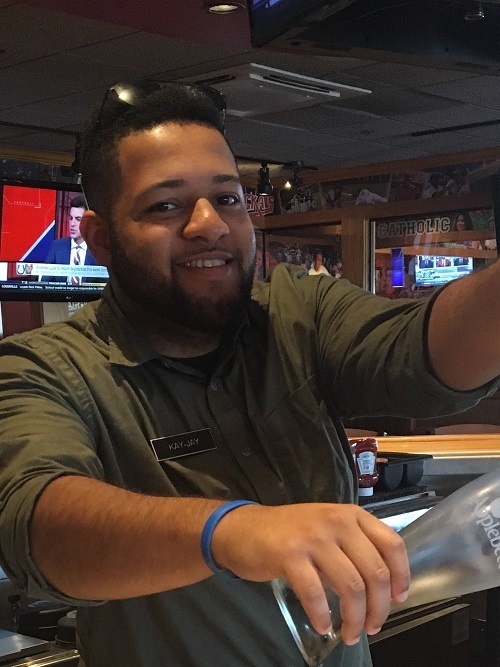 "I'm a Bartender with Applebee's going on 13 years! 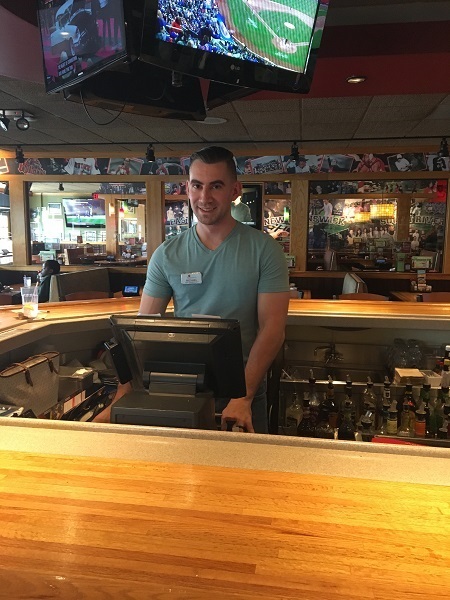 I love working at Applebee’s for many reasons. I work with great people, and the flexibility of my schedule has allowed me to make great money and do so many awesome things." 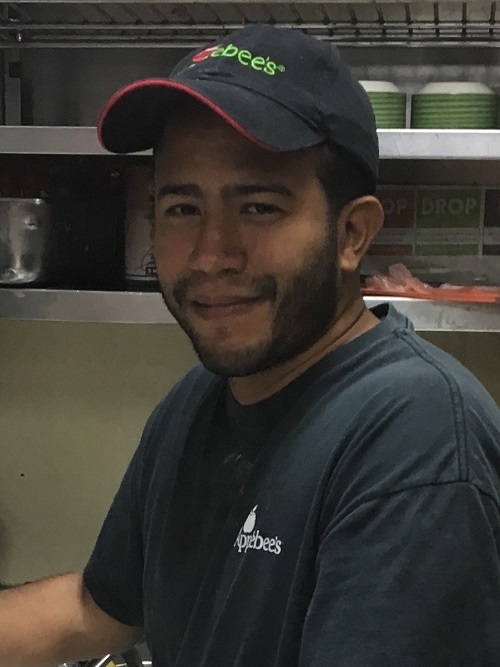 "I've been a Prep Cook at Applebee’s for two years, I love the people and the job!" 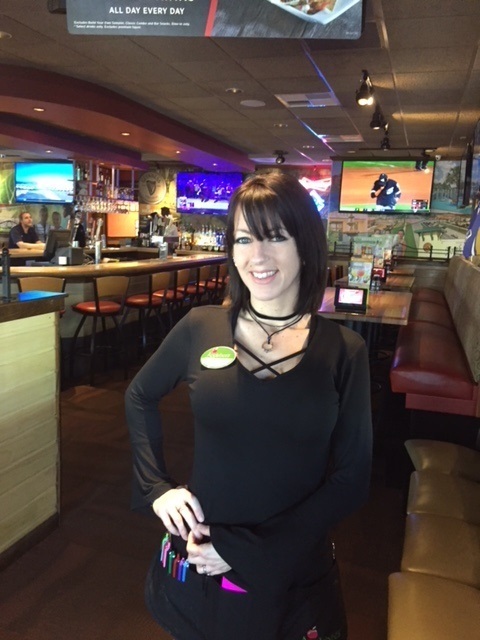 "I have worked at Applebee’s for 6 years and this company is amazing. From employees to managers our company not only cares, but also listens. They care 100% of the time and I am very happy to be part of that. I have learned so much and my only regret is I did not find this company earlier. Can’t wait to see what the future brings!" 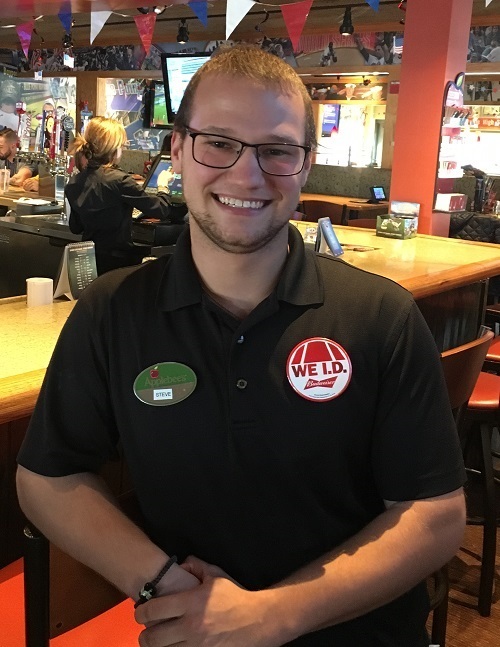 "I have been with Applebee’s for 4 ½ years. I am very impressed with the company overall and the opportunities they provide for me are outstanding. I look forward to working here for many more years." 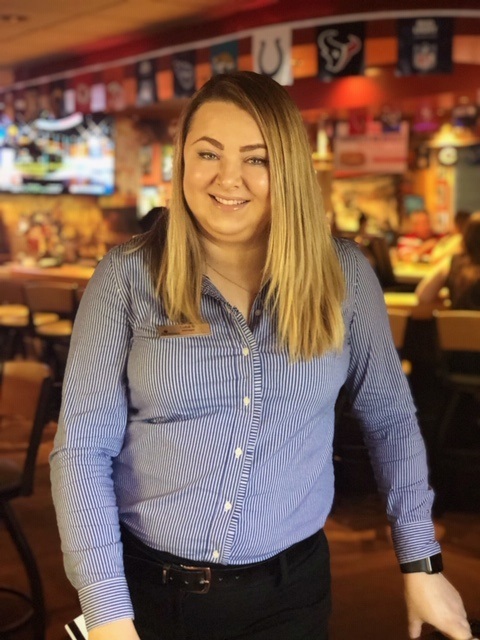 "I have been at Doherty Applebee’s for over 1 year starting in New Jersey and now working in Florida while attending college. My experience has been amazing and what I like most is this is a great place to grow as an individual and be part of a great team. 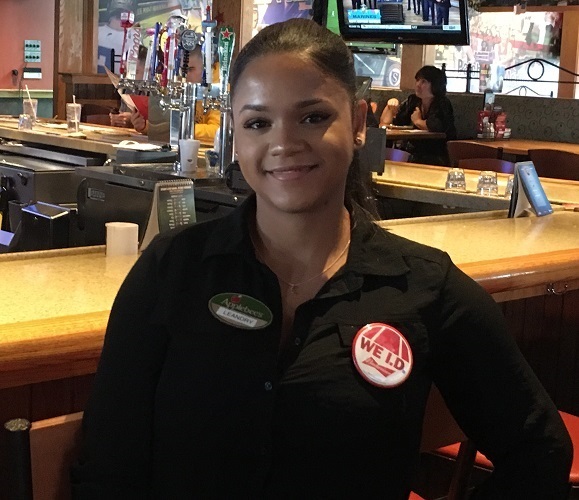 I would recommend Applebee’s for employment if you are looking for an amazing atmosphere and like being part of a family!" 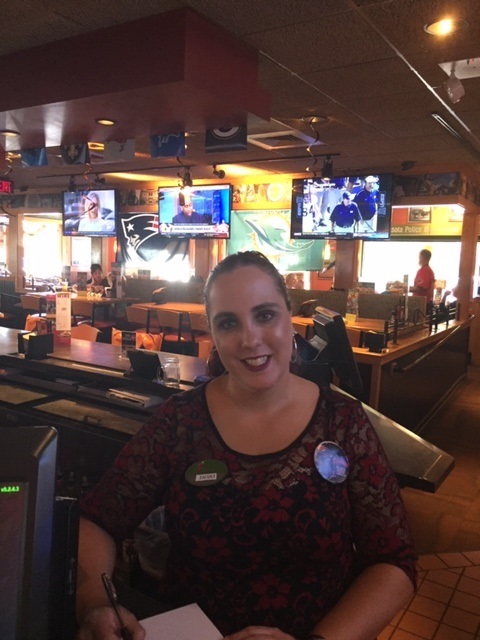 "Applebee’s is a great place to work. My co-workers are fun and like family and always make sure you are happy. 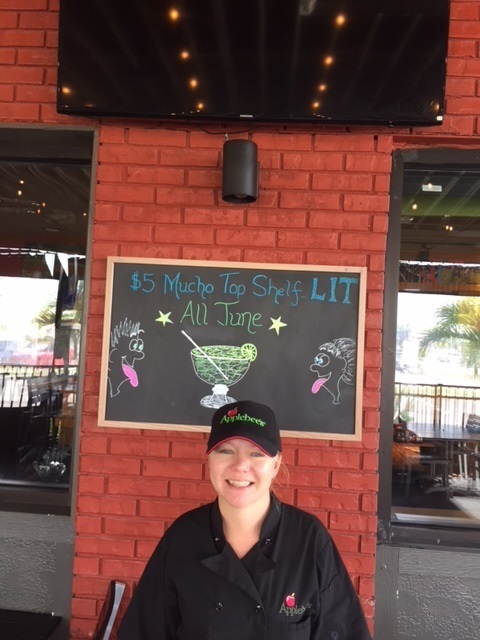 Our guests become friends and come back for the food they love and the service." 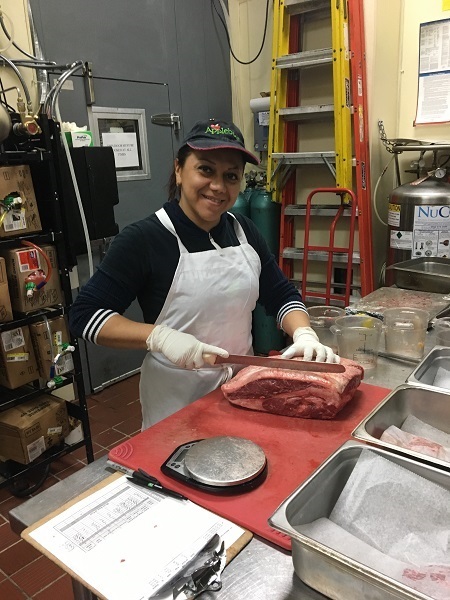 "Great company, love working with all the people and Managers!" "I have been a loyal part of the Doherty Family for over 15 years because the Doherty Family has always been loyal to me!" 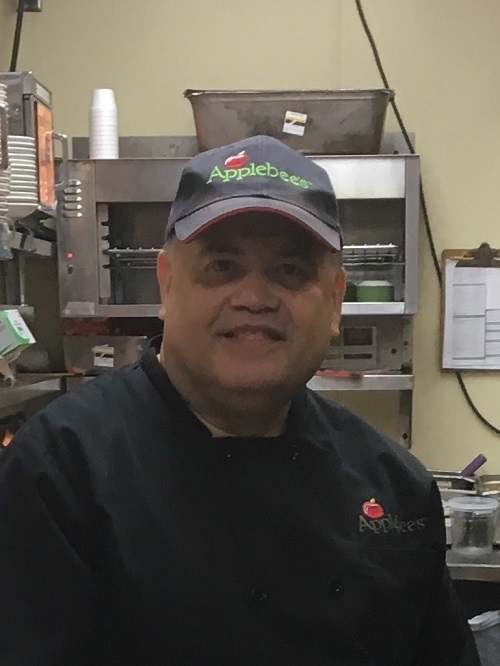 I have been with Applebee’s for over 8 years. Aside from the great opportunity it provides financially I also come in contact with many great people. I really enjoy talking and greeting our guests. 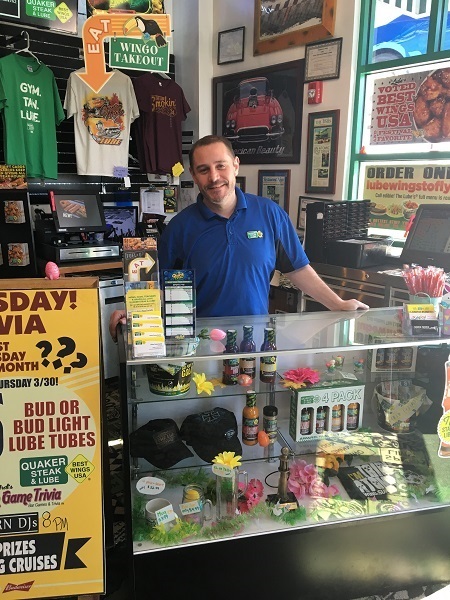 "I love working for Doherty! The staff is warm and helpful. All of my bosses have taught me so much throughout my time here. Working here makes me want to come to work and I hope to stay for a very long time." 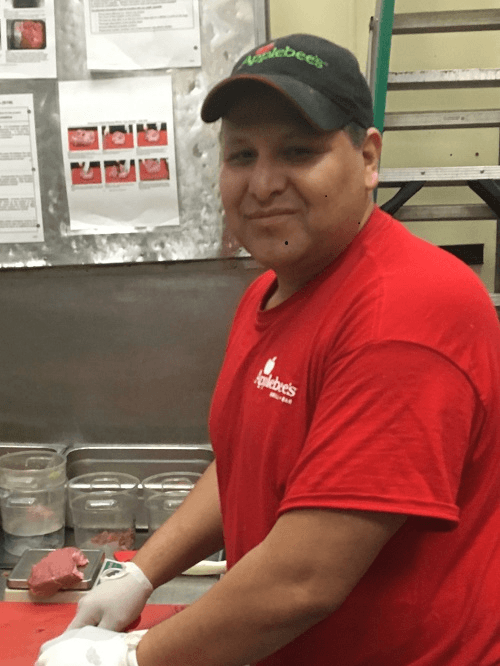 "I have been working at Applebee’s for 18 years. 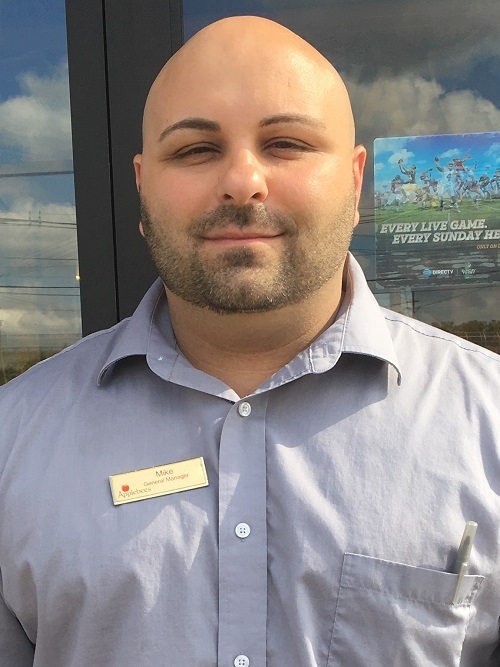 I truly enjoy knowing and serving our guests and fellow team members. Looking forward to celebrating 20 years soon!" 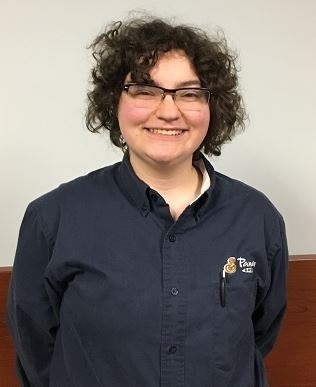 "Because it’s fair and interesting place to work, I am allowed to give me all and excel to my fullest potential and move up and grow as an individual." 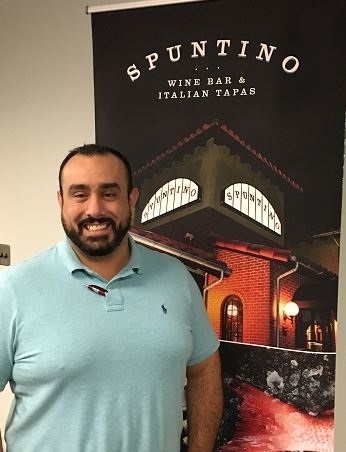 "I have been with the company for almost five years and what I like about the job is the people I work with and learning new things every day." 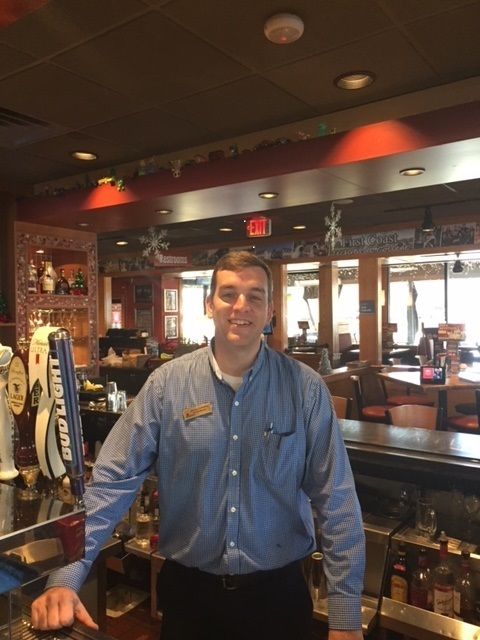 "I have been with Applebee’s nine (9) years. I really enjoy the fun family like environment. 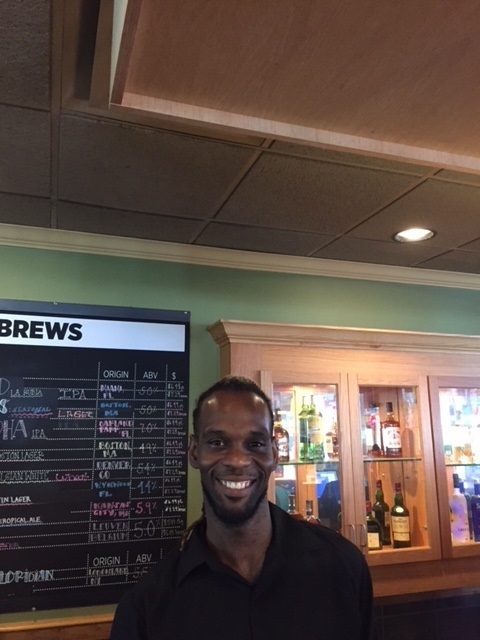 Doherty is a great company to work for because the really so care a lot about their employees." 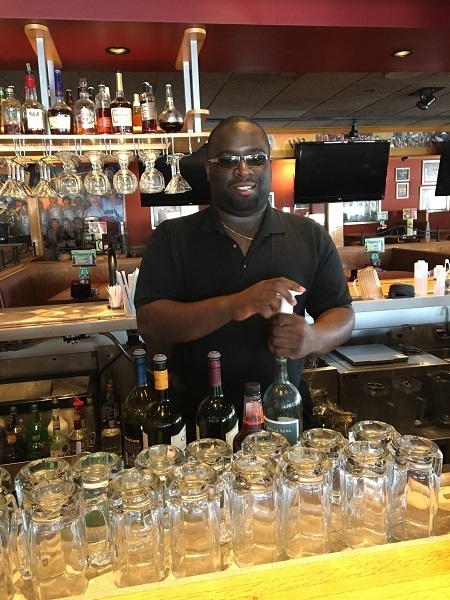 "I love working for Doherty for many reasons. I have never worked for an employer who does as much for its employees and the community. I have tremendous respect for the Leadership because they always do what they say. It is refreshing to work for a large company with small company values." 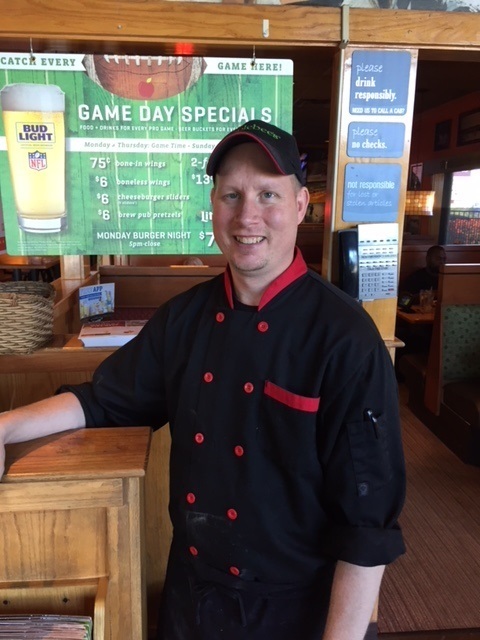 "I have been working for Doherty for 4 ½ years and with Applebee’s for a total of 10 years. I have been very fortunate to work for this great company. Doherty has treated me great and I could not be happier!" 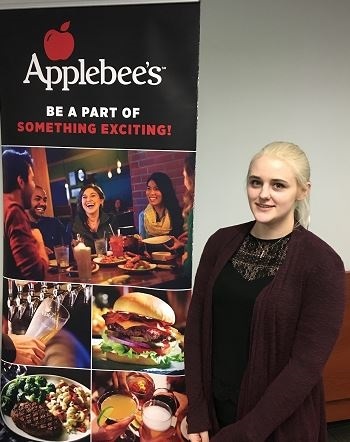 "I have been working at Doherty Applebee’s for two years. I like the stability and option to grow within the company." "In the last four years with Doherty I am continually blown away at everyone’s commitment to “WOW”. The vision that has been established is shown not just in words but also in actions." 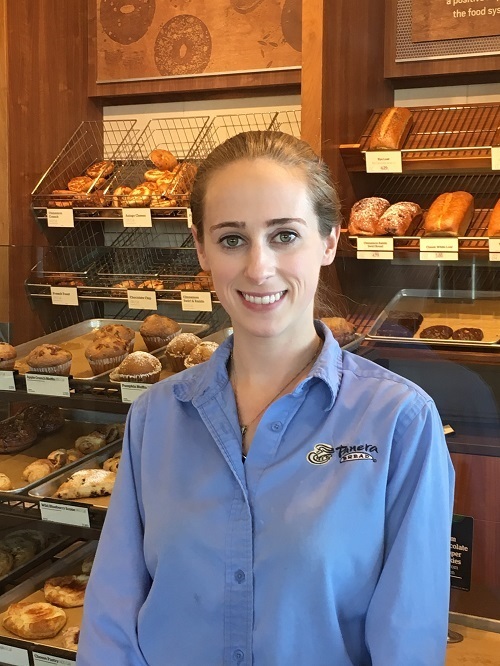 "I started working with Doherty/Panera Bread in 2016 as a bake, I moved up to a Supervisor and today I am a Manager! I love the family environment and hospitality of the company." 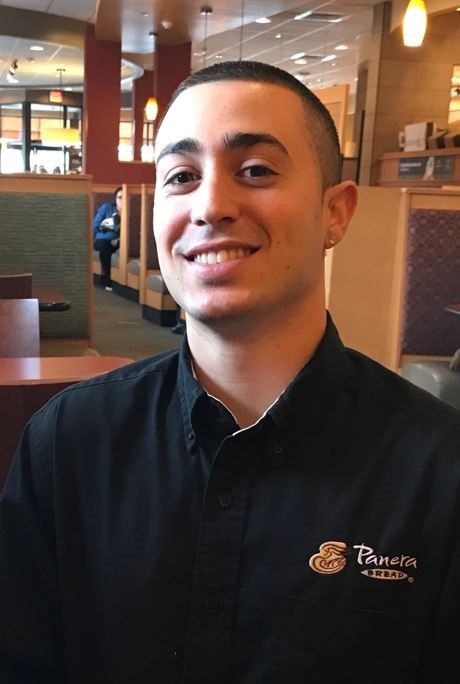 I started working for Panera October 2, 2013. I first started as a line opener in a brand new store. I loved learning all the different positions Panera offered. I just love learning the whys behind everything. Since starting, I have worked to become a manager and hope to be a GM in the next couple of years. One thing I love about Panera is the atmosphere, how every store is so welcoming. 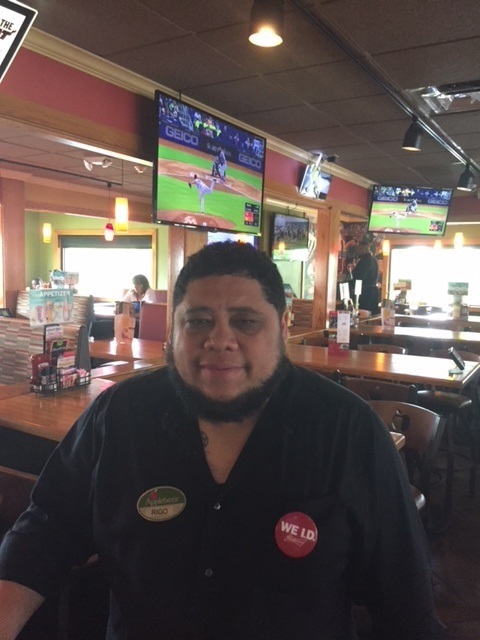 I just started working at Applebee's Kingsland three weeks ago and l love the energy of being in the restaurant. I am the Hostess with the Mostess! At our restaurant and love being the first person to greet our guests walking through the door! My Co-workers are great and welcomed me to the team. 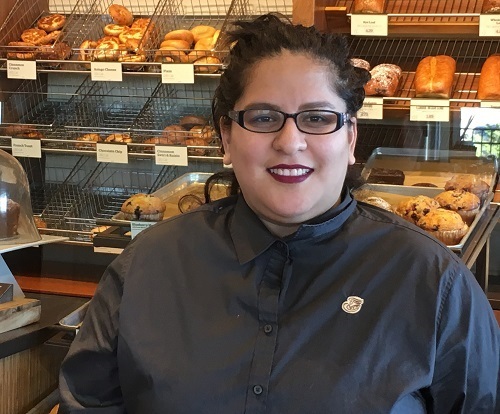 “I really enjoy making the guests smile and making their day." 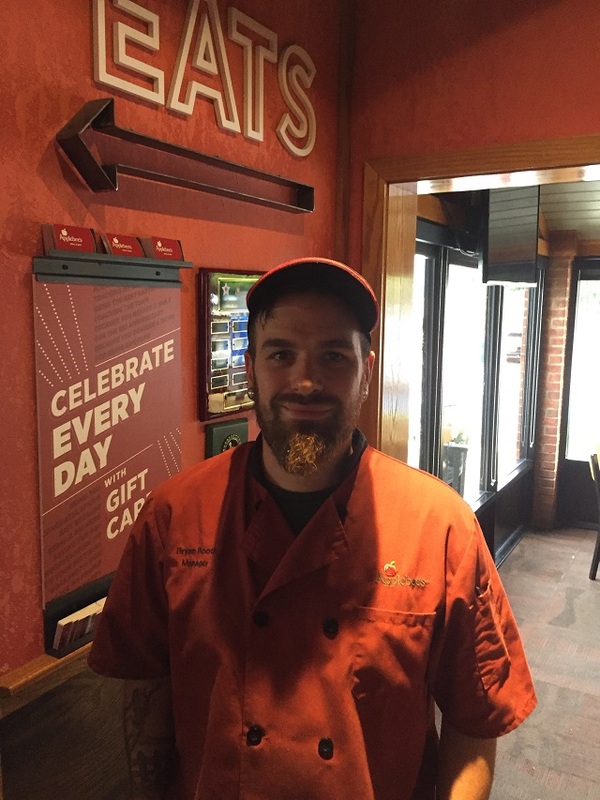 “I like working at Applebee’s because you make bonds and friendships with the employees." 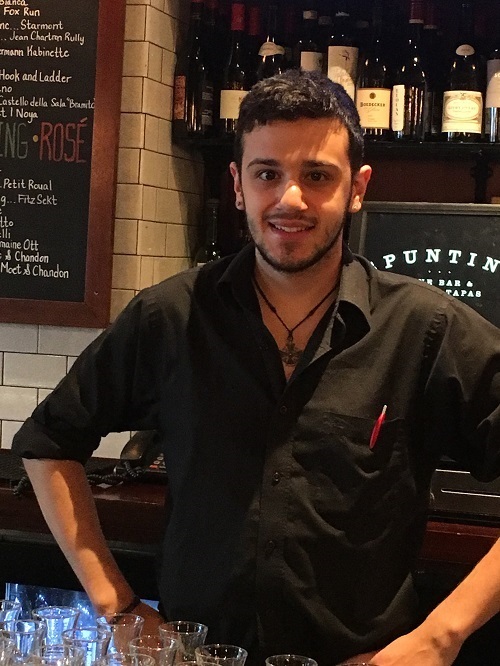 One of the biggest reasons I enjoy working at Spuntino is being able to have the opportunity to work with a talented, inspiring, and friendly team. Everyone gives his or her 100% when they are working and we all support one another no matter how busy and intense a shift gets. I feel confident that no matter what happens, I can rely on my co-workers to have my back, day in and day out. 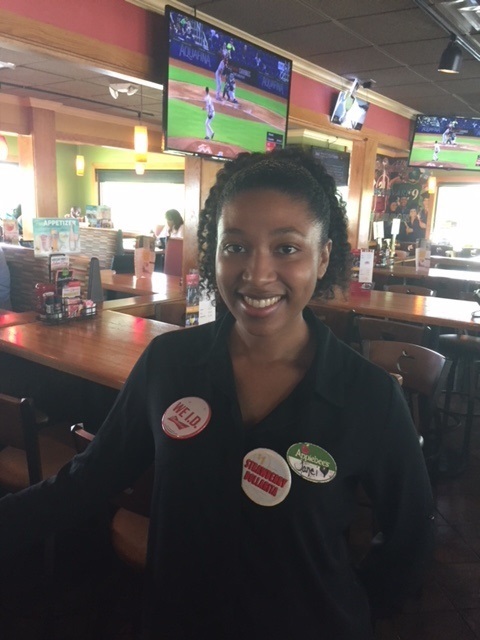 "I love working at Applebee’s because the staff and management are amazing. We are like a family which is a work experience I have never had before." 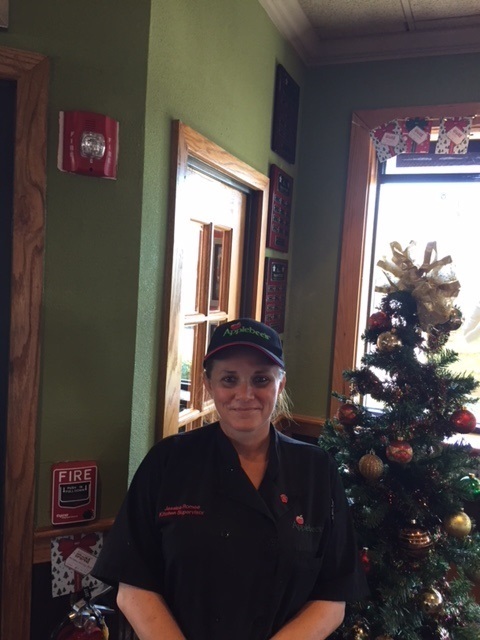 "I have been with Applebee’s for 17 years. It is a company that promotes from within and gives all their people the opportunity to grow their careers. The company is flexible with College Students and their availability. Overall, a positive work environment that cares about their people." 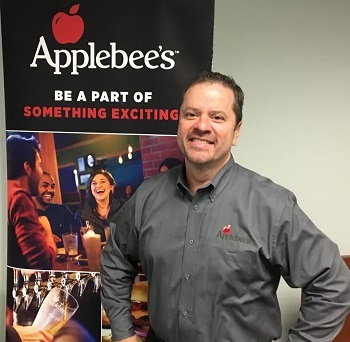 "I have been working with Applebee's for over 17 years, I love the people!" 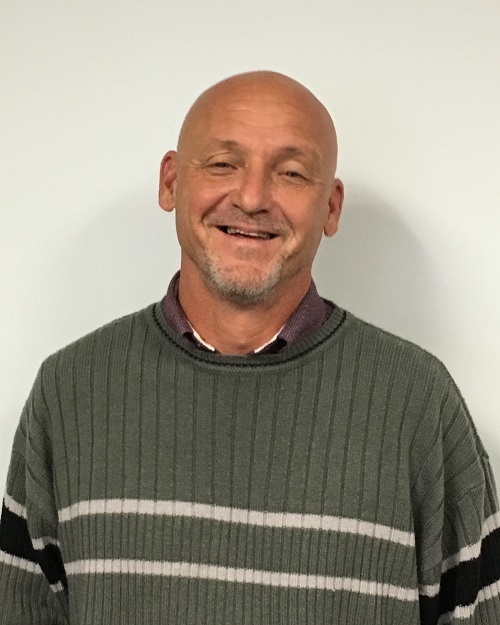 "I have been with the company 20 years. What I like about working here is the many people you meet. I have made quite a few friends." I love the people I work with! It is a great work environment. I have been with Doherty for 8 years. 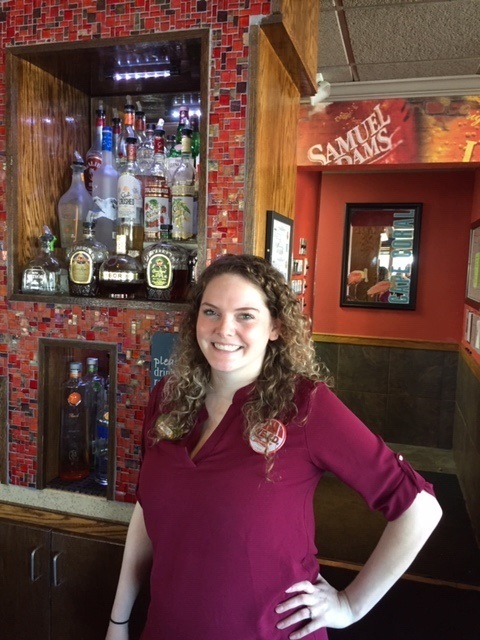 "Applebee's is a great place to make friends and a fun working experience. 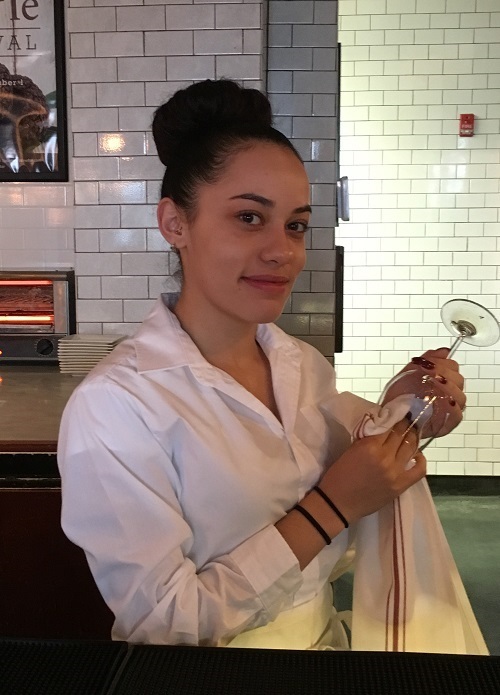 There are also great opportunities to learn about the service industry." 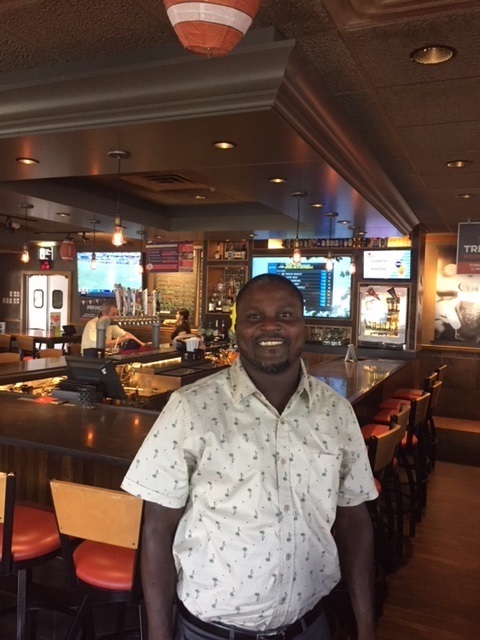 "After coming to Doherty Applebee’s from another company I was amazed at the family I had joined. Attitudes are positive and everyone works together as a solid team. 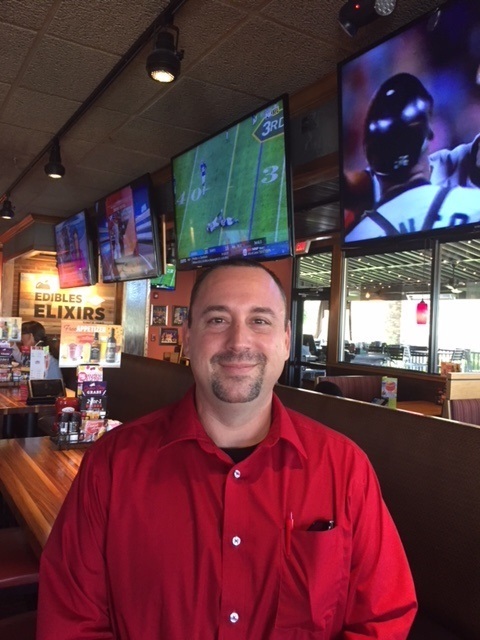 Our Management Team is wonderful and I am very happy to be part of this Doherty Applebee’s Team." 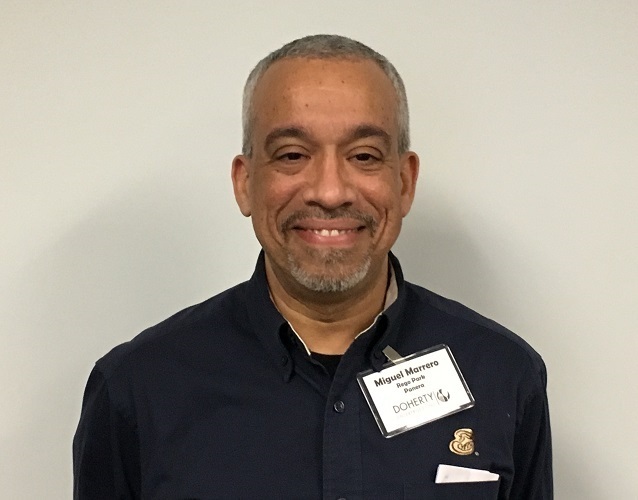 "I just started working at Doherty and so far I have seen a keen organizational structure, a great support system with the training and development program, and they are a company that really cares about their employees."